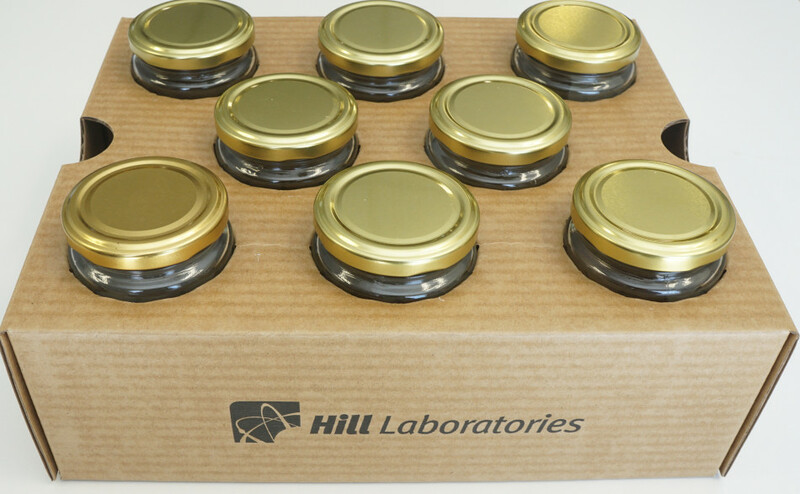 Hill Laboratories are pleased to announce the development of a wax coated cardboard flat-pack tray for glass jars that will largely resolve the handling issues our clients face when using them in the field. Glass soil jars are required for much of the environmental soil testing we do here at Hill Laboratories, however we are aware that glass jars can be difficult to handle, often breaking when dropped as well as during the transit to the lab. This undoes a lot of the hard work performed during the sampling process, and becomes particularly frustrating if re-sampling is required. The trays we have developed are very sturdy and are designed to hold eight glass jars. The wax coating will keep the rain or moisture from weakening the cardboard, and will enable them to be used multiple times. If less than 20 glass soils jars are ordered at one time, we will send the glass jars ready-packed in the cardboard trays. If more than 20 glass jars are ordered, we'll send the jars in bulk with accompanying trays in flat-pack form. If you currently have a good supply of soil jars on hand and would like some of the new flat-pack trays to try, contact our Client Services Team and we will be happy to supply trays to you. To watch a video on assembly, click here.